What’s going on in a players brain during extremely high performance on the golf course? And how do we explain stories of time slowing down, with the mind completely blank or even forgetting entire rounds? Learn from Dr Michael Lardon as he explains what you need to know about the Zone and how to get there more frequently. Dr Lardon used a technology called ERPs, Event Related Potentials which is similar to an EKG. Just as the EKG allows you to see the electrical current in your heart, you have the same thing in your brain called an ERP, Event Related Potential. “I spent some time with McEnroe and Agassi and what was amazing to me, was how Agassi had this incredible return to serves even though the ball is moving so fast, it’s almost an instinctual reaction. I hypothesized that what’s going on in the brain, is the opposite of dementia perhaps the typical spike at 300 milliseconds comes quicker, with greater amplitude because the brain is more sensitized. In fact there was a negative wave early at 50 milliseconds and what it showed was that the great athletes were more primed, so they picked up the stimulus earlier. We made three groups of participants in our study looking at how fast their brain processed information comparing world class athletes like Scott Tinley, Mark Allen (triathletes), Peter Vidmar, Eric Heiden, comparing them to matched controls and another control group, which were people very highly trained, but not elite level athletes. Through that we published a couple of papers, showing that when you are in better physical shape, as is the great athlete group and the well-trained group, your thought is more efficient, it’s faster. The other thing we discovered was a trend and, it appeared that my hypothesis wasn’t quite right. In fact there was a negative wave early at 50 milliseconds and what it showed was that the great athletes were more primed, so they picked up the stimulus earlier. For example, in baseball, if you and I were up there to bat against the best pitchers in the world, that ball would come zipping by and we’d just see a blur. But great hitters are actually picking that ball up as it is released from the pitchers fingertips. Focus on the things that you can control. That’s why Dr Lardon developed a mental scorecard to help you commit to something you can control and put yourself into the best position possible to be in the zone. It satiates that primal need to rate yourself, to judge yourself, but it does it in the way that you have the capacity to be in 100% control of. You score yourself on those three phases for every shot you hit during a round, and you end up with a percentage that represents your mental score. If you play a par-4 and make bogey, 5 is your physical score. But if you successfully go through the three phases of your routine for each of the five shots, your mental score is 5/5, or 100 percent. The top Tour players in the world routinely score in the high 90s. The difference between winning a major and keeping your card is about 7 or 8 percentage points—five or six shots per round with less than full concentration. The club champion at your course would probably score in the high 60s or low 70s. 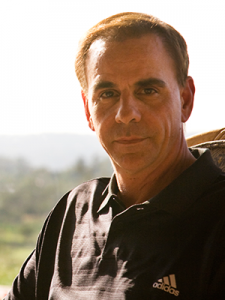 Michael Theodore Lardon is considered among the country’s most prominent sport psychiatrists. Lardon is an Associate Clinical Professor at the University of California at San Diego School of Medicine, and is the author of two books, “Mastering Golf’s Mental Game” (Random House 2014) and “Finding Your Zone: 10 Core Lessons for Peak Performance in Sports and Life” (Penguin 2008). In July 1994 Lardon continued his clinical studies in athletic peak performance during his fellowship in Psychobiology and Psychopharmacology at UCSD. After his fellowship he started his career as a sports psychiatrist on the PGA Tour, first helping Kemper Open champion Mike Springer. In 2001, Lardon was contacted by James Bauman, Senior Sports Psychologist at the United States Olympic Training Center in Chula Vista, CA, to evaluate U.S. Olympic skeleton hopeful Jimmy Shea who had been referred to him for the treatment of depression. Jimmy Shea won the Olympic gold medal in the skeleton in 2001. Immediately after winning Olympic gold medal Shea pulled out a picture card of his grandfather, Jack Shea (two-time Olympic speed skating champion) and held the picture up for the National and International media in celebration of his victory. In Guidepost magazine, Shea credits Dr. Lardon for giving the suggestion of taking his grandfather’s photo and putting it in his helm et on the day of the race. After the 2002 Olympics, Jimmy Shea and Dr. Lardon’s work together was chronicled in an article in Sports Illustrated magazine, they then went on a public relations tour, sponsored by the pharmaceutical company Wyeth-Ayerst focusing on the destigmatization of depression in men. Lardon continued to work with a number of Olympic athletes, including the 2004 Olympic Silver medalist in crew, Samantha MaGee; the 2006 Olympic team captain of the men’s four-man bobsled, Steve Holcomb; and the 2004 400-meter hurdler Brenda Taylor. He continued his work with the Olympic athletes while expanding his presence in the golf world. 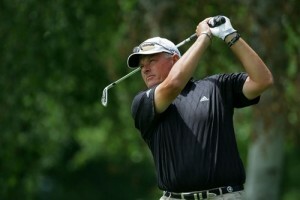 He has worked with the 2001 British Open champion, David Duval; the 2002 PGA champion, Rich Beem, the 2005 U.S. Open champion, Michael Campbell and five-time major champion Phil Mickelson. Mickelson credits Lardon for helping him win the 2013 British Open.Lardon has also worked with athletes in other sports, including former San Diego Chargers Pro Bowl kicker Nate Kaeding. David Ogrin is a three-time PGA TOUR winner (1996 La Cantera Texas Open; 1989 Chrysler Team Championship; and 1987 Deposit Guaranty Classic), making him a Lifetime Member of the PGA TOUR. David is the director of instruction at Topgolf after serving as the assistant golf coach at Texas Lutheran University and as Director of Instruction at Three Crowns Golf Club in Casper, Wyoming. Tired of not being able to take your game from the range to the course? Watch the video to see all of the benefits membership to golfscrimmages.com will give you. With currently two dozen games and more added often, you can improve your practice sessions to make them more meaningful and purposeful. 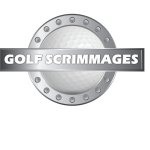 Golfscrimmages.com is a collection of competitive practice games proven to help players feel the on-course elements like pressure, score, consequences, emotions, mental challenges, and more so that you can be better prepared for the course and tournament play. Enter your scores, see how you rank on leaderboards and watch your personal progress in each area of your game. We also have additional resources and a blog from which you will certainly benefit. Shift away from practice sessions that are overly focused on mechanics and swing thoughts and toward practice that will help you to play better on the course.